It’s late June, and we arrive in Midyat as it’s getting dark. Unfortunately for us, President Tayyip Erdoğan has also decided to visit Midyat on the same evening, after a farcical PR stunt, giving Angelina Jolie a tour of the nearby Syrian refugee camp. Police are everywhere, roads are blocked, paparazzi wait, and a deafening helicopter hovers over our heads. 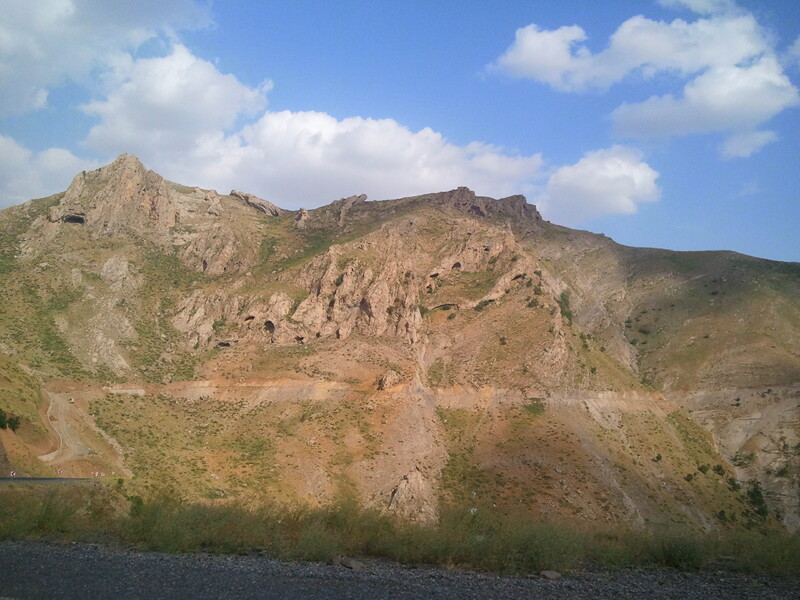 We move onto Roboski, close to the border with South (Iraqi) Kurdistan. Four years ago, me and my friends, Robert and Mats, crossed the border here, and learned about the Roboski massacre, which took place a few days before we arrived. Turkey’s military bombed and killed 34 local people who were on mules, carrying out cross-border trade between North and South Kurdistan. Now, four years later, I walk through the villages affected by the massacre, and I meet the mothers and fathers who lost their sons, and the women who lost their brothers. We attend a memorial service at the cemetery. Every week, the villagers gather, remembering their family members and doing press releases, ensuring that we don’t forget the atrocity of the Roboski massacre. Whilst visiting here, we stay with our friends Yannis and Meral. Yannis tells us about his life. Growing up as a youth in the Black Sea region of Turkey, he was brainwashed by his schooling and by the racist people around him. Whilst on military duty in the mountains of Kurdistan, he was captured by the PKK. He spent two years and three months as a prisoner in the mountains. His experience with the guerillas completely changed him. “Anyone who isn’t changed by the guerillas must be hard like a rock,” he says. Nowadays, he is a Kurdish solidarity activist, and speaks fondly of the guerillas. He and Meral live in the Roboski area and are inspirational activists. Hauntingly, there are Turkish military bases absolutely everywhere on the mountain tops, occupying Kurdish land and aiming to control the people and the guerillas who would defend the land. These bases, or kallekols, keep an evil eye over everything and everyone. “I live in a giant military base,” Meral says as we look up at the mountains. Staying in her house, I feel uneasy. The military can see everything if they want to. I hang a curtain over the window to try to block their vision, but their evil eye is upon us. 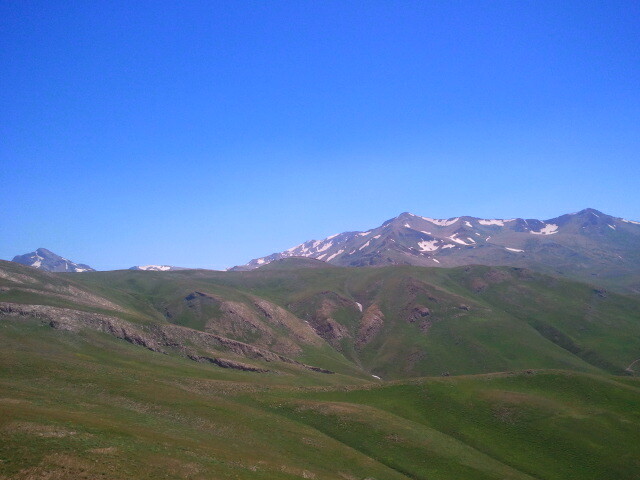 After a few days, we say goodbye to Yannis and Meral and hitchhike through the Kurdish mountains. There are daunting military checkpoints everywhere. Our passports are checked three different times. “Why are you here? Where have you been? Where are you going?” we are asked again and again by armed soldiers. 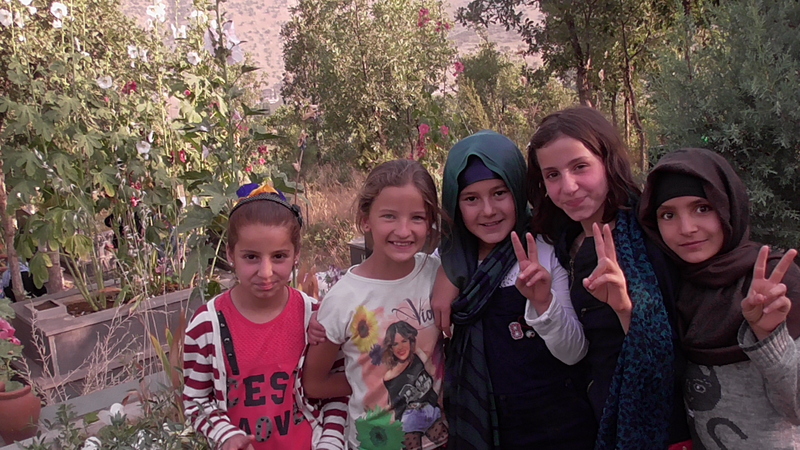 Our next stop is the Kurdish town of Cizîr‎ (Cizre in Turkish), on the Tigris river. Of all the Kurdish towns that I’ve been to, it’s Cizîr that seems to have most resisted Turkish attempts at assimilation, and people speak Kurdish to each other, rather than Turkish. Residents are proud of the guerilla fighters in the mountains, who they say are fighting for Kurdish rights and for freedom. Apo, the nickname for PKK leader Abdullah Öcalan, is graffitied on walls all around the town. 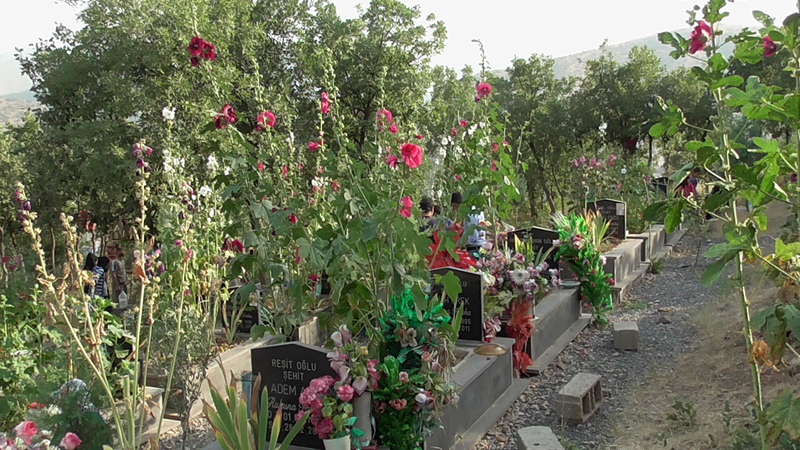 We’re invited to the mourning ceremony of Sümeyye Abak, a YPJ fighter who was killed fighting in Rojava (the region of Kurdistan within the Syrian borders, which is resisting attacks by ISIS). Chris sits upstairs with Sümeyye’s male relatives and friends. I’m taken downstairs to meet her mother and the female relatives. Through their tears, the women welcome me with kisses and cuddles. I can’t speak Kurdish, but that doesn’t matter. People seem touched that I’m here to learn about Sümeyye. 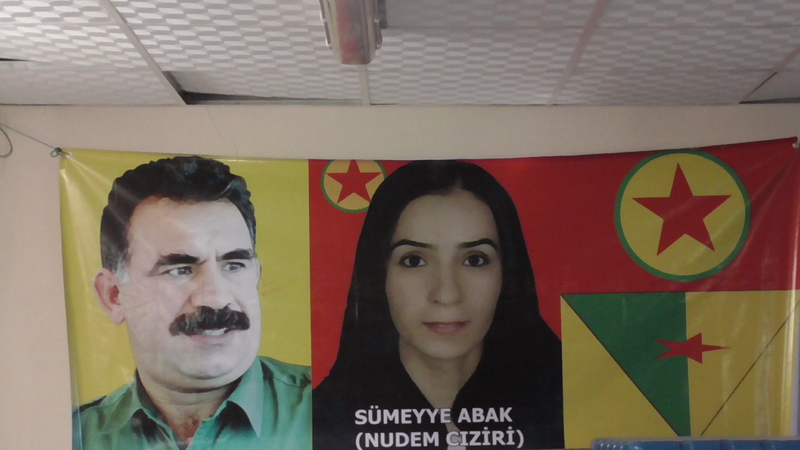 As her mother holds my hand, I gaze at Sümeyye’s photo, which sits on the wall next to a picture of PKK leader Abdullah Öcalan. During our visit to Cizîr‎, new friends tell us about Nûdem, a young woman who has been imprisoned by Turkey for ten and a half years on false terrorist accusations. Nûdem is a popular Kurdish singer who sings in the Kurdish language and writes songs about Kurdish culture and of freedom. (Read the Corporate Watch article on Nûdem here). 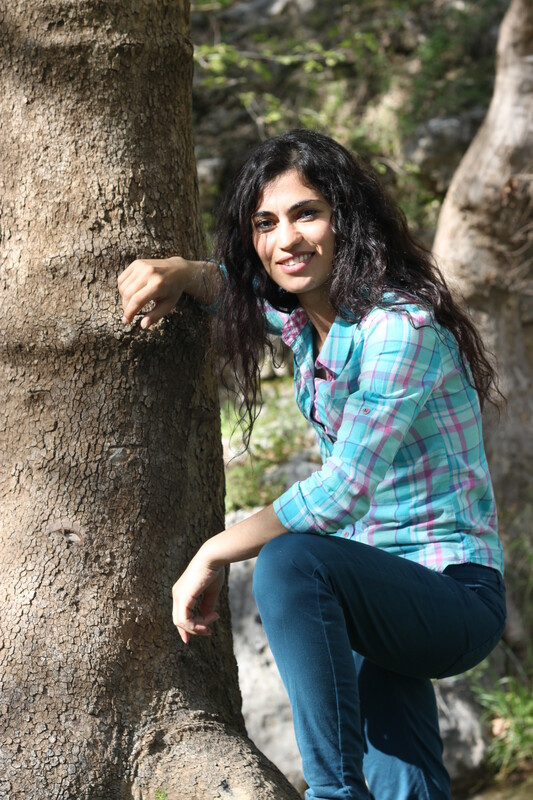 Nûdem is just one of thousands of Kurdish people who have been imprisoned by the state within Turkey’s borders. Finally, we move onto the villages surrounding Lake Van, close to the Iran border. “These mountains are the guerillas’ mountains,” a friend says to me, smiling, when I ask her why there’s no military bases here. Since this visit to North Kurdistan in June/July, Turkey’s state and military has begun a fresh bombardment on Kurdish guerillas, and there are continuing attacks on their bases in the mountains, with PKK guerillas retaliating. If we were to visit Yannis and Meral in Roboski now, we would see military jets constantly flying over their village to attack guerillas. Turkey’s military is also targeting villages in its bombing. The pro-Kurdish HDP party won 80 seats in the June election, preventing the governing AKP party from winning a majority. Since then, the AKP and president Erdoğan are avenging their loss, and the Kurdish population is paying the price. President Erdoğan has called another general election in Turkey on the 1st November in an attempt to win an AKP majority. This majority is needed to change the constitution and give Erdoğan greater presidential powers. In the run-up to the new election, police are cracking down on media and arresting journalists who are anti-AKP or anti-Erdoğan. With the state intent on causing instability and trying to fuel hatred towards Kurdish people, I can’t help but think that the situation for our Kurdish friends is going to get worse and worse as we approach the November election.